Beth Levin’s first CD for Aldilà Records is a ’composed program’ presenting the mystically riveting world of Anders Eliasson’s (1947-2013) ’Versione’ as an otherworldly contrast between the two towering works by Schumann and Schubert: Kreisleriana and the late Sonata in C minor. The well-known and the unknown interact and reflect each other in a completely surprising and balanced way, performed by a musician of volcanic power, innermost poetic feeling, exciting freedom of expression, and irresistible structural stringency. 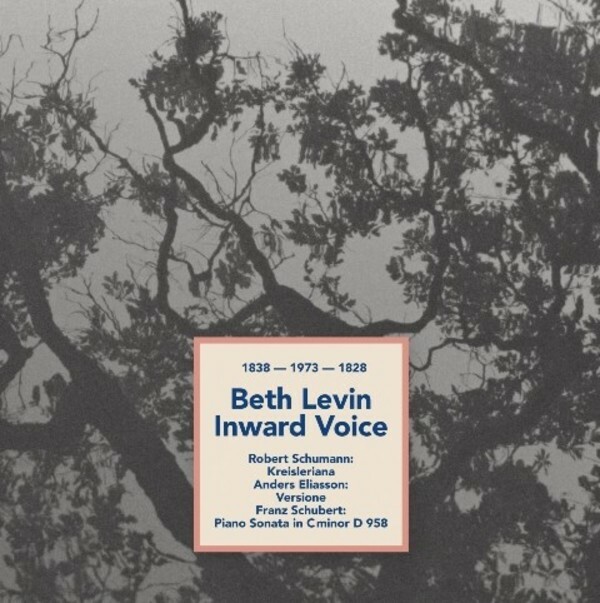 Beth Levin, born in Philadelphia and living in Brooklyn, has enjoyed a great reputation among connoisseurs in America for a long time now and only recently started becoming a celebrity in Europe. Beth Levin studied with the piano legends Marian Filar, Rudolf Serkin, Leonard Shure and Dorothy Taubman. Paul Badura-Skoda praised her as “a pianist of rare qualities and highest professional calibre“. Completely uninterested in a usual career, for many years one could only experience her live in concert, but in recent years three live recordings have appeared, letting her reputation to grow fully.